The prime objective of the Weld-Test company is to offer protection of people, reducing risk and thus creating safe working environment, as well as provide efficiency improvement by extending machinery life and reducing maintenance costs of your business. 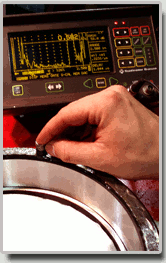 All inspections are offered either at our in-house laboratory or on-site. Top-quality and reliability of our services is of most importance for us.